The Moonshine Hooch is a Freeride, Freestyle and Downhill performance multi-tool. 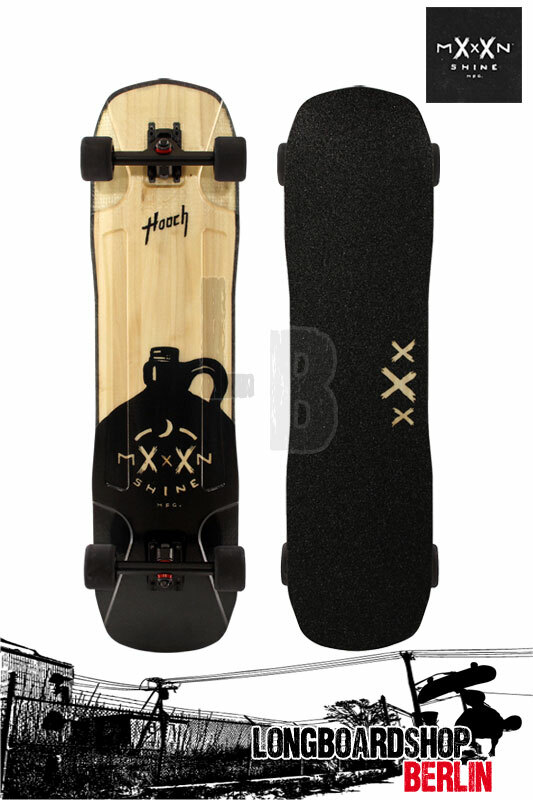 The Hooch incorporates a deep concave, wheel flares, subtle rocker, multiple wheel base options and aggressive grip into a deck that is ultra lightweight and ultra durable. Our vert-lam wood core and single-shot urethane rail deliver a responsive and high-performance ride. Hand-crafted in the U.S.A at The Distillery. 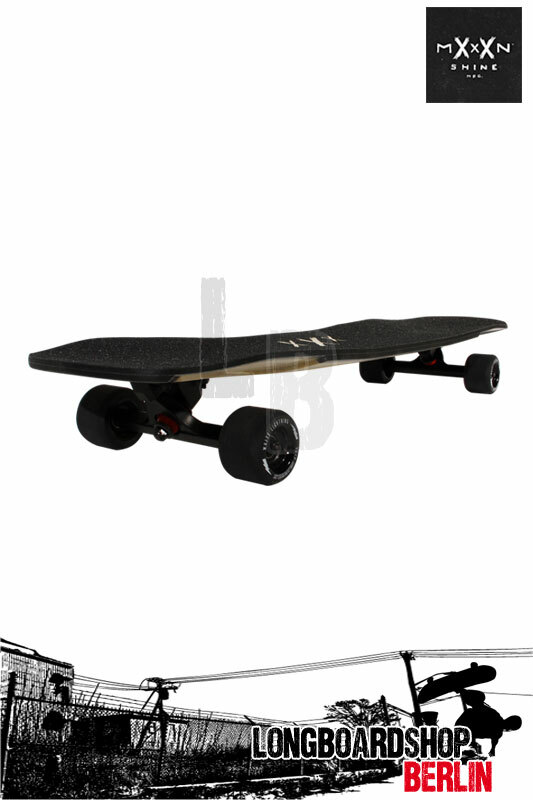 The complete HOOCH is set up with 10" Blackout Caliber 50 trucks, White Lightning 70mm SLIP wheels and ABEC7 bearings. We set it up as a sliding and freeriding machine. The Hooch will also deliver the goods with White Lightning GRIP wheels if you want to dial up the speed even more and rail turns. Wheelbase Options: 23.5" / 24.25" / 25" / 25.75"